Investment property appliances play an integral role in forming the opinions of impending renters. If for nothing else, the quality of the appliances in a given unit will go a long way in helping renters decide whether or not the home in question is worth their hard-earned money. Perhaps even more importantly, it’s entirely possible for the best appliances for rental properties to serve as a huge selling point. There’s absolutely no reason great appliances can’t help your position as a rental property owner, but I digress. It’s not enough to simply pick the first appliances you come across; you need to pick the right ones. Fortunately, there are some telltale signs that’ll help you pick the right appliances for your rental property. Buying appliances for rental properties requires owners to walk a fine line; one that toes the difference between value and perceived value. If for nothing else, the appliances one chooses to insert into their own rental property should match the value of the home and respective neighborhood. Mid-range appliances are often best suited for mid-range neighborhoods, while high-end neighborhoods typically require luxury amenities. While it’s entirely acceptable to place high-end appliances in mid-range units, the ROI won’t justify their inclusion in a rental property. An industrial strength HVAC unit may seem like a good idea, and renters may love it, but it ultimately won’t be worth the initial price––you can only charge so much in rent, after all. It is unequivocally better to match the appliances with the property value. “ENERGY STAR is a U.S. Environmental Protection Agency voluntary program that helps businesses and individuals save money and protect our climate through superior energy efficiency,” according to the program’s own website. 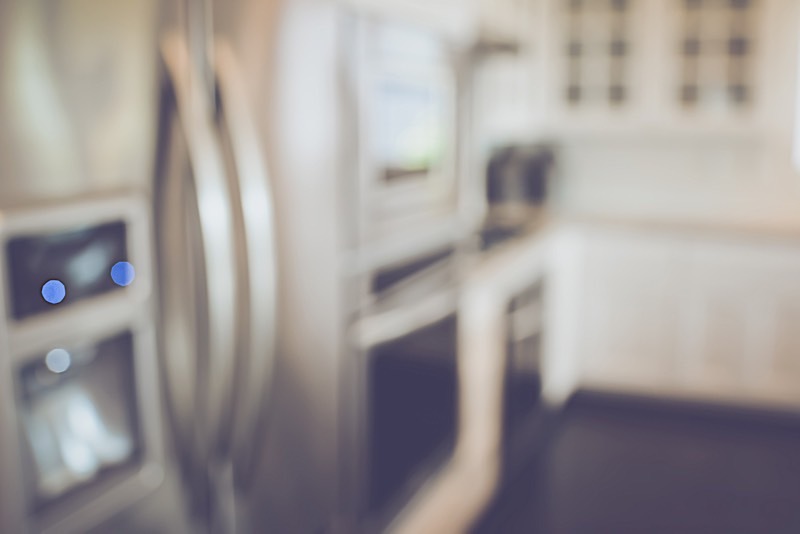 To that end, a number of appliance companies have teamed up with ENERGY STAR to create energy efficient appliances, which is great news for landlords. The next time you decide to look for new appliances, consider buying those that received the ENERGY STAR rating, as they’ll potentially save you money on your utility bills––every little bit helps. The best appliances for rental properties are the ones tenants deem the most useful. You see, it’s the value placed in appliances by tenants that passive income investors need to be conscious of. When all is said and done, an appliance is only a good choice if prospective tenants like it. Therefore, deciding which appliances warrant your hard-earned cash has to do more with what others like instead of yourself. As a result, you need to place the needs of others ahead of your own. What is it your tenants need? What would make their lives easier? Do a little research to find out the latest trends and what people are looking for in today’s rentals, and give the people what they want. The Internal Revenue Service (IRS) is more than aware that most rental properties are a valued source of income for their respective owners. As such, the powers that be are willing to let rental property owners depreciate a number of assets, not the least of which include appliances. More specifically, however, the IRS permits rental property owners to write off a portion of the recently purchased appliances for about five years. That means investors will be able to subtract from their taxable income for a predetermined amount of time, ultimately reducing their taxable obligations. Additionally, investors that purchase ENERGY STAR rated appliances may be granted access to even more tax benefits, as the government appears set on rewarding those making meaningful attempts to be more sustainable. Not surprisingly, there’s a generous market for both new and used rental property appliances. Each awards savvy shoppers with unique benefits, but which is ultimately better for your passive income property will depend on exactly what you are looking for. New rental property appliances have become synonymous with an inherent degree of quality, and for good reason: they are brand new. It is fair to expect new appliances to exhibit a longer lifespan than their used counterparts, and perhaps even a factory warranty. Simply put, there is at least a slight guarantee of quality promised to the buyers of new appliances. New appliances typically offer a wider variety of options, too. Investors can typically choose between a number of features: style, color and price range. Off course, the freedom of choice and inherent quality of new appliances comes with a significant caveat: price. New appliances are better than their used counterparts, but they also cost more. On the other hand, used appliances come complete with their own advantages; that is, of course, if you are willing to sacrifice the benefits associated with new appliances. It is entirely possible to purchase used appliances that perform just as well as new ones, but you won’t be awarded the same peace of mind. In fact, used appliances have become ubiquitous with an apprehensive stigma. The nature of their origin automatically calls their quality into question, regardless of how well put together they are. Nonetheless, the price will reflect said trepidation. There’s an entire contingent of investors willing to sacrifice peace of mind to save a few bucks, however, which begs the question: Are you? How Long Do Investment Property Appliances Last? Truly great passive income investors already know the importance of investment property appliances, and it’s time everyone else exhibited the same appreciation for these underrated amenities. At the very least, the best appliances for rental properties can award investors an attractive return on investment. At their pinnacle, great appliances can increase the perceived value of an asset. Therefore, it’s important to take your time when choosing the appliances that will adorn your own property. Investment property appliances play a more important role in filling vacancies than many people realize. The best appliances for rental properties can simultaneously increase appeal and value. When replacing appliances for rental properties, be sure to take everything into consideration. "Homeowners association rules coincide with significant benefits, but they come at a price. I'll walk you through ho… https://t.co/Dt20oDapJO "